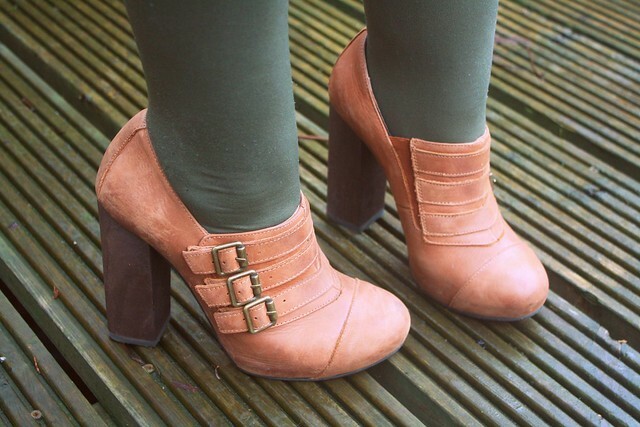 The autofocus on my camera is still not working (saving for a new one) so the photo of my shoes came out a dud, here's an old one to show why I love them so. Oh boy, I am not good at this blogging thing anymore. Since I last updated I have turned 24. Being a grown up is weird. Anyway, I wanted to share my new favourite dress. From Primark of all places! 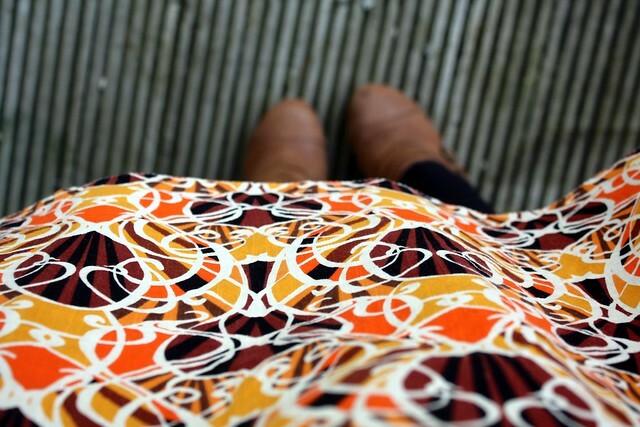 It makes me feel very 60s, maybe not the shape so much but the print and colours. I saw it on Style Cave in blue and couldn't believe it was Primark. I want the blue one too but it wasn't there in my size, boo. I love these shoes as well but I just cannot walk in them. 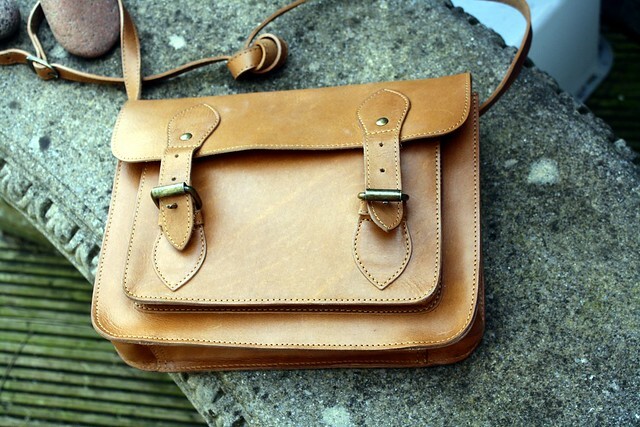 I'm tempted to stick them on ebay but I love them so much, gah. This whole outfit makes me feel like I should be in one of my favourite films, Almost Famous. This movie defined 15 year old me, I went to California with my family for 5 weeks and an old portable cd player with just my Simon and Garfunkel cds and this is what reminds me of those days. Sleeping in cabins and driving to Oregon with this music as my soundtrack. I'm determined to own a Stillwater tee some day. If you haven't watched it you really should, it inspired me to steal all of my parents records (sorry parents). I don't blame you for not wanting to part with those shoes! They're super cute! Omg a stillwater tshirt would be awesome!!! As is that dress. What lovely look smelling like 60´s. 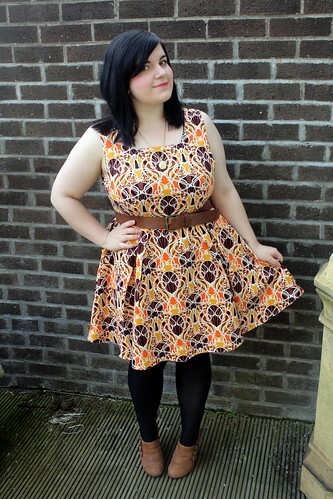 Ooh I just discovered your blog and i really like it :) love this dress you are wearing. And Almost Famous is one of my absolute favourite films!!! :O that dressssss, that outfit <3 gorgeous! 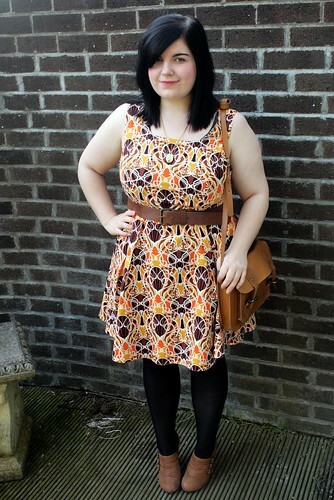 Great post - not only is that an amazing outfit (so jealous of the dress, necklace and satchel!) but I love Almost Famous, it's the best film soundtrack! I love listening to America by Simon and Garfunkel and dreaming of my perfect American road trip. Btw I was in Belfast a few weeks ago and bought some Lily Pink cupcakes at St Georges Market - they were awesome! Almost Famous is one of my favorite movies too, it always makes me feel really sad towards the end because I wish I could go back in time and have a similar experience. I love these shoes and Happy belated Birthday! 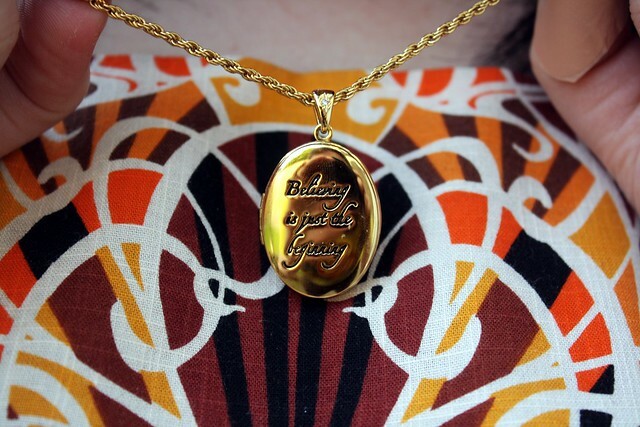 The whole outfit is gorgeous and the locket is super cute! 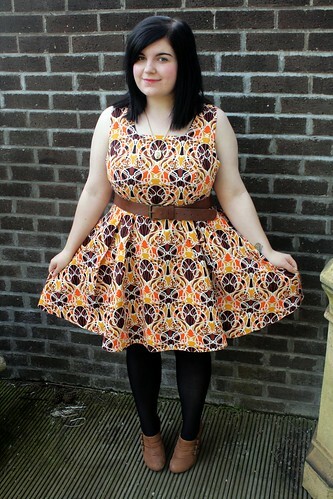 loving the retro vibe of this dress on you, the colours really suit you! i have to watch Almost Famous this summer and relive my teenage dreamer days a little bit! we too roadtripped it around california and i lived with headphones permanently in my ears!